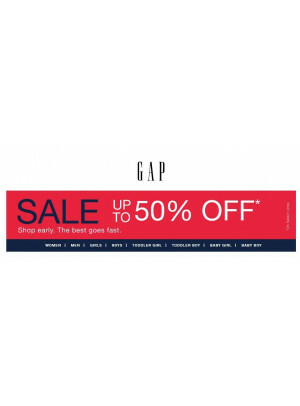 The Gap, Inc. commonly known as Gap Inc. or Gap, (stylized as GAP) is an American worldwide clothing and accessories retailer. It was founded in 1969 by Donald Fisher and Doris F. Fisher and is headquartered in San Francisco, California. The company operates five primary divisions: Gap (the namesake banner), Banana Republic, Old Navy, Intermix, Weddington Way, and Athleta. 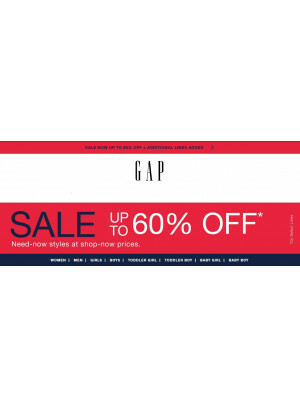 Gap Inc. is the largest specialty retailer in the United States, and is 3rd in total international locations, behind Inditex Group and H&M. As of September 2008, the company has approximately 150,000 employees and operates 3.456 stores worldwide, of which 2,406 are located in the U.S.